Report: Bad Procedures Caused The Fukushima Nuclear Disaster : The Two-Way A Japanese panel has issued a scathing report faulting government regulators and the electric utility for failing to take precautions to safeguard the Fukushima nuclear reactors from natural disasters. The failure led to nuclear catastrophe during last year's earthquake and tsunami. On the same day Japan's first nuclear power plant went back online, a panel of Japanese officials released a scathing report on last year's nuclear disaster at the Fukushima plant. Their view? The crisis was preventable. The Fukushima Nuclear Accident Independent Investigation says the plant couldn't stand up to the earthquake and tsunami on March 11, 2011. It was unprepared to face a major disaster - and government regulators and the Japanese utility that ran it knew for years that the plant wouldn't make it through a crisis. The devastating quake and tsunami triggered the disaster. Nuclear fuel rods overheated and emergency cooling generators lost power when seawater flooded the buildings. This led to explosions at reactor containment buildings and leaks of nuclear material. All of the emergency response systems failed. If the utility and the regulators knew that the reactors at Fukushima wouldn't stand up to the double hit, why didn't they make safety improvements? Dr. Kiyoshi Kurokawa, the panel's chairman, cites Japanese culture as a major impediment. The report points out that the Japanese agencies responsible for overseeing nuclear plant safety were housed in the same department as the agency that's responsible for promoting the benefits of the nuclear industry. 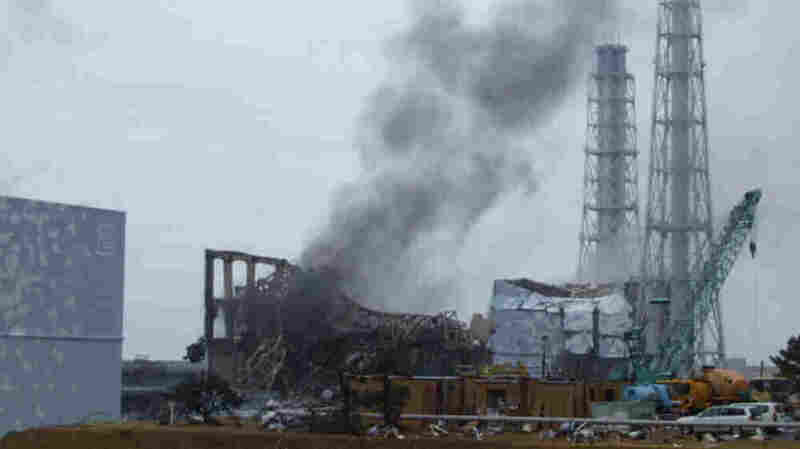 The Japanese utility, known as Tepco, dragged its feet on safety improvements because it would interfere with plant operations. One huge failure: there were no plans to evacuate thousands of nearby people who could be endangered if case of a major radiation leak. "only by grasping this mindset can one understand how Japan's nuclear industry managed to avoid absorbing the critical lessons learned from Three Mile Island and Chernobyl; and how it became accepted practice to resist regulatory pressure and cover up small-scale accidents." After disaster struck the unprepared plant, then-Prime Minister Naoto Kan made matters even worse by rushing to the scene. "This unprecedented direct intervention ... diverted the attention and time of the on-site operational staff and confused the line of command". In addition to interfering with emergency responders, Tepco ended up becoming Kan's de-facto mouthpiece. After holding more than 900 hours of hearings and questioning more than 1,100 people, the panelists are calling for significant changes in how the nuclear industry is regulated. Their main thrust is development of a regulatory body that answers to the Japanese parliament, holds regular hearings and examines the physical damage at the Fukushima plant. Chairman Kurokawa writes the disaster was due to policies and procedures, "but the mindset that supported it can be found across Japan.....each of us should reflect on our responsibility as individuals in a democratic society."